We’ve been doing a lot of comparison charts lately (like this one and this one), but we’re apparently not alone. 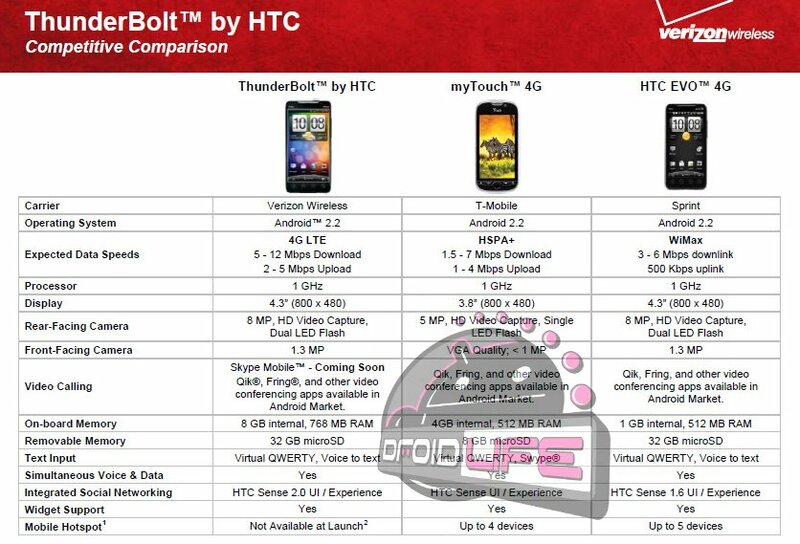 Verizon is also doing their own set of comparison charts for the new HTC Thunderbolt which we’re all expecting to see some time in February. 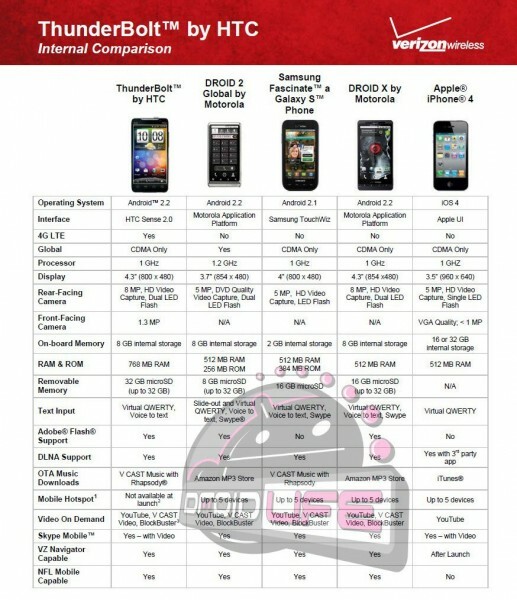 With the TBolt looking like it’ll be the first 4G LTE device on Verizon, they’ve taken the opportunity to compare it to the rest of the big time devices available internally and externally including the i*hone 4 and EVO 4G. While we already know that the TBolt is an amazing device (hands-on gallery and video) this chart also confirms our report from the weekend that the TBolt will launch without mobile hotspot and Skype Mobile being active. We’re sure that both will be available shortly after, but just wanted to make sure you were all aware. Verizon is also reminding everyone that there are alternatives in the market like Qik and Fring.